Essen/Singapore. Evonik, one of the world's leading specialty chemicals companies from Germany, has donated a giant bronze statue of Beethoven to Singapore, and received by SUTD today. Carved by German sculptor Markus Lüpertz, the statue marks Evonik’s first step in driving the cross cultural dialogue between Germany and Singapore. 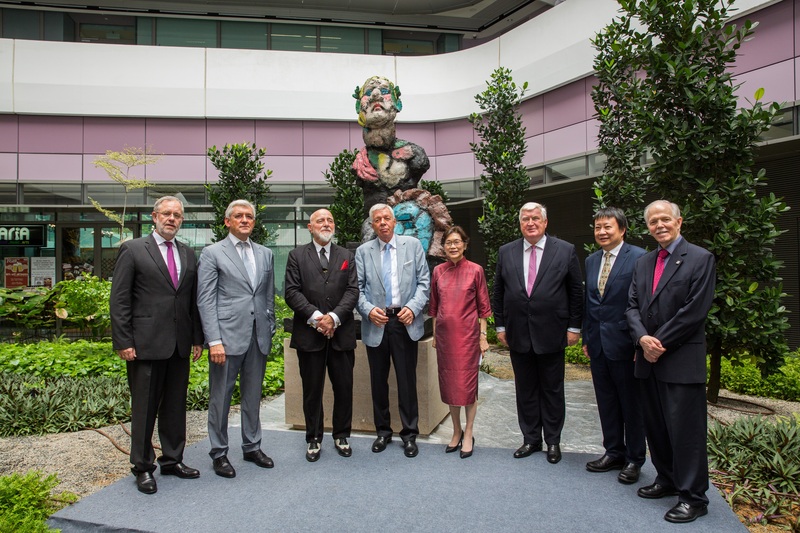 "Envonik's presentation of the Beethoven statute to SUTD is an inspired gift. In SUTD we are always reaching out to understand innovation and creativity and how the process takes place. The lessons of the genius Beethoven for our students as they reflect on his life are many. Beethoven did not let adversity arrest his creativity. He turned his deafness into a source of strength. Silence created the space for ideas and sublime music to emerge," added Professor Chan Heng Chee, Chairman of the National Arts Council and the Lee Kuan Yew Centre for Innovative Cities at SUTD, who was the guest-ofhonour for the ceremony.